Good evening guys, how are you? 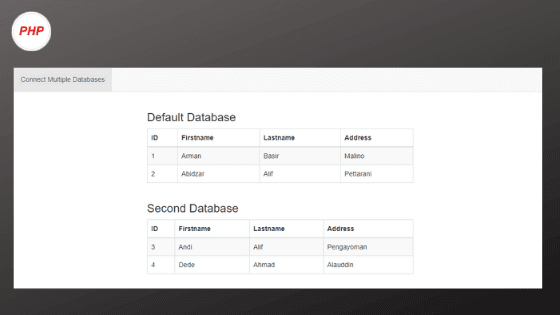 After all this time we come back again and this time we will discuss how to make connections to several databases on CodeIgniter. If you have not installed the latest codeigniter, please click on this link, you will immediately be redirected to the official website. then you need to install it by opening application / config / config.php in the CodeIgniter file that you downloaded, and at the end of this post you can directly download this file. The first time we have to prepare is a database, according to the title of this post that we made two databases, mydab and second. The contents of the table from both databases are the same. You just need to open application / config / database.php and configure the database connection according to the one below. You can download it by pressing the button below. Hopefully what we share is useful for you, especially for friends who are just learning.